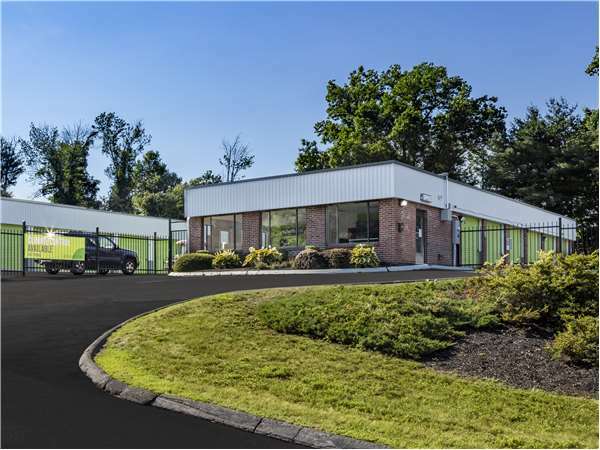 Located on Olesen Rd just off Berlin Turnpike, Extra Space Storage serves residents of Wethersfield and Newington. 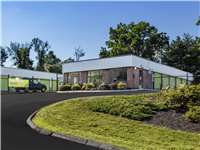 Locals will recognize our facility near Jiffy Lube and Dunkin' Donuts a few minutes south of Cedar Hill Cemetery and Goodwin Park Golf Course. While I am as condemned as anyone can possibly get, Extra Storage has not condemned me, at least so far. It is a testament to the extent inf which they must care for their customers. If they do not condemn me, they truly must care. Whether that is something people would support or not, I don't know. But it is that they have treated me well in the last couple of months that I have rented a unit from them. I know I appreciate that. The manager and employees of this facility were professional and responded to my requests quickly and in a friendly manner. The facility was mostly clean, except for dead bugs in the hallways, but I'd rather see dead bugs than live ones! When the light went out near my unit, I asked for it to be taken care of, and when it was discovered that the problem was a ballast rather than a light bulb it took a little longer than normal but was fixed. The security gate was broken twice but that wasn't the management's fault: somebody obviously rammed the gate and later the keypad post with a vehicle and although I didn't feel quite so secure, I believe they repaired the problem as quickly as possible. We had record snowfall this past winter, and snow was cleared well and quickly. I never had a problem with strangers bothering me and my belongings were kept safe and dry. This is a wonderful facility, I continue to rent from them, and I recommend them. They keep their prices reasonable as well. Drive south on Maple Ave. Pass Goodwin Park Golf Course. Continue straight onto Berlin Turnpike. Turn right onto Olesen Rd. Our facility is immediately in front of you. Drive northeast on Berlin Turnpike. Pass the Department of Transportation. Make a U-Turn using the left lane at Pawtucket Ave. Drive south on Berlin Turnpike. Turn right onto Olesen Rd. Our facility is immediately in front of you. Drive southwest on Wilbur Cross Hwy. Continue straight, merging onto Berlin Turnpike. Turn right onto Olesen Rd. Our facility is immediately in front of you. Drive east on New Britain Ave. Turn right onto Forster St. Turn left onto Freeman St. Turn right onto Fairfield Ave. Pass St George Greek Orthodox Church and take the next right onto Berlin Turnpike. Turn right onto Olesen Rd. Our facility is immediately in front of you.